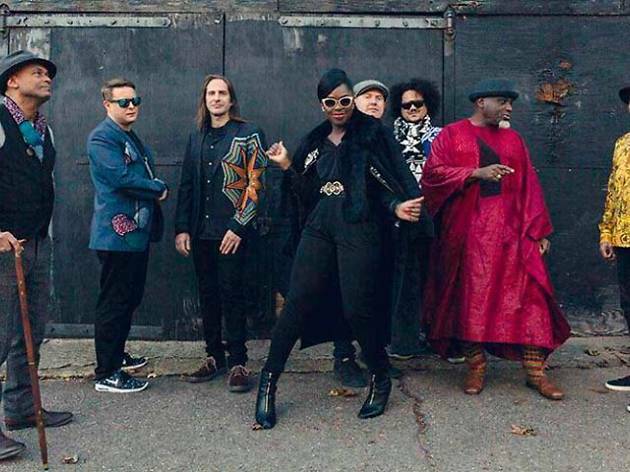 Fronted by London-born singer with Nigerian roots Eno Williams, Ibibio Sound machine is an eight-person band whose sound is inspirec by African and electronic music, with echoes of the golden age of West African funk, disco and the most modern post-punk and electro. 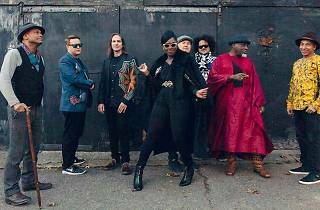 In their lyrics they mix evocations of poetic Nigerian images with political consciousness, something that, held up before the tension of their Afro-electro landscapes, generates a unique space of Afrocentricity. The group has found their groove and know how to make it move in any direction they want, always with absolute control of the situation, which then lets them let it carry them off.